“It’s exciting to find a natural substance connected to exercise that has such clear therapeutic potential,” said Bostroöm. 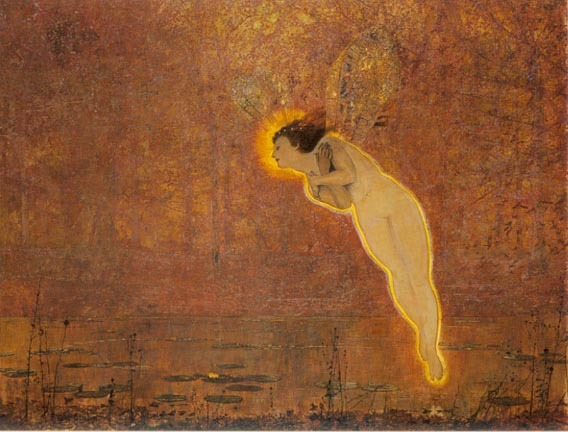 Spiegelman dubbed the hormone “irisin,” after Iris, a Greek messenger goddess. He said the discovery is an important first step in understanding the biological mechanisms that translate physical exercise into beneficial changes throughout the body, both in healthy people and in preventing or treating disease. According to the report, the irisin hormone has direct and “powerful effects” on adipose, or fatty, tissue – subcutaneous deposits of white fat that store excess calories and which contribute to obesity. When irisin levels rise through exercise – or, in this study, when irisin was injected into mice – the hormone switches on genes that convert white fat into “good” brown fat. This is beneficial because brown fat burns off more excess calories than does exercise alone. Only a small amount of brown fat is found in adults, but infants have more – an evolutionary echo of how mammals keep themselves warm while hibernating. In the wake of findings by Spiegelman and others, there has been a surge of interest in the therapeutic possibilities of increasing brown fat in adults. The discovery won’t allow people will be able to skip the gym and build muscles by taking irisin supplements, Spiegelman cautioned, because the hormone doesn’t appear to make muscles stronger. Experiments showed that irisin levels increase as a result of repeated bouts of prolonged exercise, but not during short-term muscle activity. The Dana-Farber team identified irisin in a search for genes and proteins regulated by a master metabolic regulator, called PGC1-alpha, that is turned on by exercise. Spiegelman’s group had discovered PGC1-alpha in previous research. Bostroöm said the hunt for molecular targets of increased PGC1-alpha activity ultimately pinpointed irisin, which turned out to be located within the outer membrane of muscle cells. This discovery ran counter to other scientists’ contentions that such a protein would reside in the cell’s nucleus. With 10 days of treatment, the mice had better control of blood sugar and insulin levels – in effect, preventing the onset of diabetes – and lost a small amount of weight. Although the weight loss was small, Spiegelman said that the hormone may have a greater effect when given for longer periods. In part because it is a natural substance and because the mouse and human forms of the protein are identical, Spiegelman said it should be possible to move an irisin-based drug rapidly into clinical testing – perhaps within two years. The scientists said their findings merely scratch the surface of irisin’s multiple effects. They are continuing to explore the hormone’s possible benefits in metabolic diseases like diabetes, insulin resistance, and obesity, which constitute a growing epidemic around the world, as well as neurodegenerative illnesses like Parkinson’s disease. Spiegelman added that as growing evidence implicates obesity and physical inactivity in cancer development, it’s conceivable irisin-based drugs may have value in prevention and treatment of the disease. Other authors, in addition to Spiegelman and Boström, are from Dana-Farber; Harvard Medical School; Brigham and Women’s Hospital; University of California at San Francisco; Universita Politecnica delle Marche, Ancona, Italy; Odense University Hospital, Denmark; and LakePharma, Belmont, Calif.